This is the final day for vintage for me. The last day is usually the busiest. Some of the ferments have been completed. It took about 9-14 days for the ferment to finish. Usually, the sugars convert quite quickly into alcohol but it usually can take a while at the end of the ferment as the increase in alcohol makes it hard for the yeast to ferment the remaining sugars. Alcohol and acetic acid produced during production are toxic to yeast and the yeast struggles in such an environment. This can be overcome by adding a healthy batch of yeast from another fermentation tank to restart the ferment or by adding thiamine HCL that can be found in yeast energisers or DAP if there is a lack of nitrogen. Another solution is to rack the wine and get the yeast to be exposed to oxygen so that they can reproduce and get the ferment going again. Sometimes, stirring the lees can get the ferment going again as the yeast needs to be moved around. To check if the wine has totally finished its ferment, a small portion of the wine is being drawn into a test tube and a special pill is placed into the test tube. The wine will start to change colour and each colour signifies a different residual sugar. 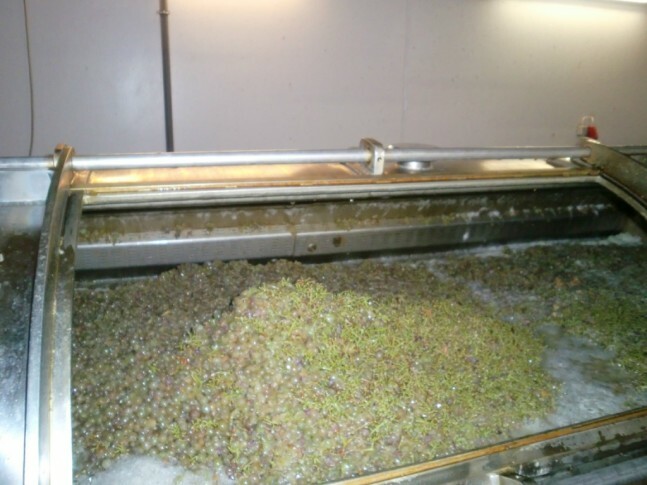 If the residual sugar is in the accepted range, the wine will be sent for analysis to confirm if the ferment is done and the top of the tank will be covered to prevent any fruit flies from contaminating the wine. The fruit flies are not a problem before the ferment is done because the carbon gas that is emitted during the ferment usually kills them. We did more pressings today. Each press cycle takes approximately two hours. 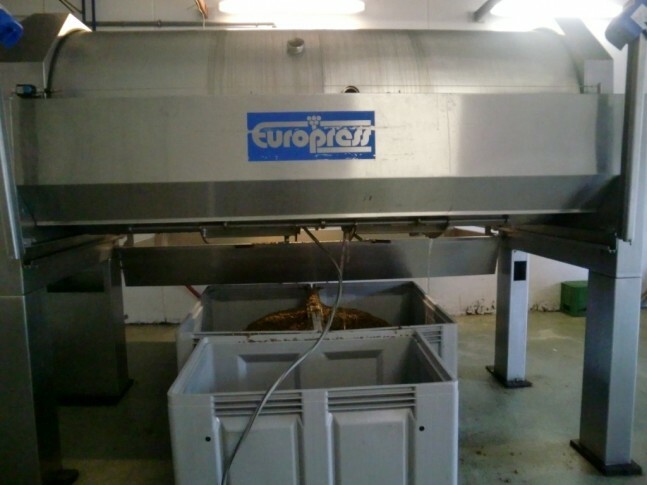 This excludes time taken to clean the crusher and press after each cycle. It is hard work to climb into the press and start scrubbing out every grape skin you can find. If you were doing this at one in the morning, you would not find it very fun at all. One in the morning in Austria is freezing cold. Most of the grapes were picked and the remaining stuff for the reserve will come in a week later. Dr Bert is going to consult his advisors on whether he should wait for flavours to develop or to pick now since sugars won’t increase anymore. I can’t believe that there were still grapes that were going to be for the reserve. The grapes that we picked yesterday were probably the best I have tasted and the thought that there could be something better was unthinkable. I asked Dr Bert what he could consider as a reserve wine. 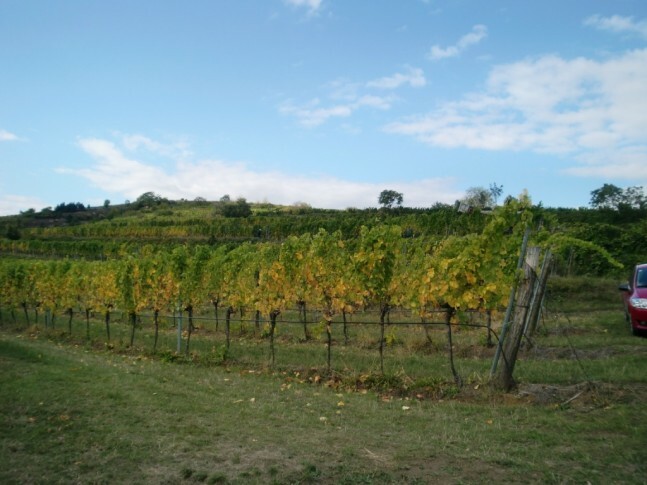 Without hesitation, he said that a reserve wine has to have the correct natural potential alcohol level of 13%, the correct flavor ripeness that will balance the alcohol and has to come from vines of at least 50 years old. They have to come from the best vineyards as well. He also added that last year was a difficult year and only 4% of all the grapes brought in became reserves. This year, he expects 10% of the production to go to the reserve. This has been an unbelievable and exceptional vintage. Even with the rain, most days were sunny. Everything in the winery has gone smoothly so far and there have hardly been much hiccups. In fact, we just received an analysis on some of the wine and found everything to be in good order. 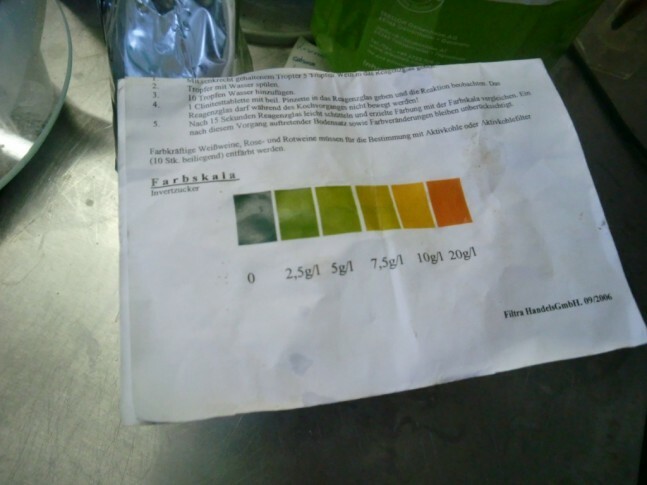 The Volatile Acidity was way below legal limits; tartaric acid was more than 6.5g/l; pH was within the 2.9-3.1 range; sugars were less than 4g/l which is what we want to called it dry. I believe that it is time for us to keep an eye out for Austria 2011. A big thank you to DrBertold Salomon and his wife, Gertrude for their hospitability, the winemaking team of Chris, Tom, Christian and Dai for showing me the ropes, Curtis for helping me to work this vintage.